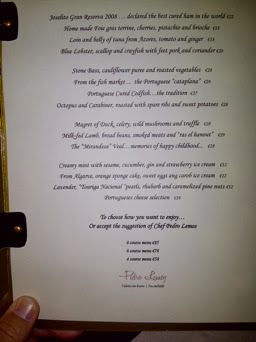 Our first night in Porto we had pre-arranged reservations for dinner at Pedros Lemos, an up and coming star chef. We asked our hotel to tell our taxi driver the name and address of the restaurant. The journey was not smooth. The taxi kept getting lost and even after I got him to call the restaurant it was 10 more minutes before he found it. Pedros is located in a residential neighbourhood and is hard to find. But worth the effort. We were greeted warmly and any tension caused by the taxi soon faded away. We started with drinks on the 2nd floor outdoor deck. The night was warm and the cool porto branco was refreshing. After our drinks we moved inside to start serious dining. We had decided to indulge with the 6 course tasting menu along with wine pairings. We were not disappointed. The service from start finish was superb; attentive and fun. Two servers appeared with our first amusee bouche and unveiled lightly smoked fresh sardines accompanied by a small cocktail (non alcoholic) that tasted like a caesar. The sardines were delicate and quickly consumed. The sommelier then delivered the first wine, an Alvarinho, Loureiro, Fernad. It was a lovely interesting departure from the often thin Sauvignon Blancs, although it did share some similar grassy charactersitics. It was an excellent match for our first (1/6) course of Blue Lobster, Crayfish, Scallop and Shrimp in an asian broth made from black pig. The seafood was delicate, perfectly cooked and a wonderful start. 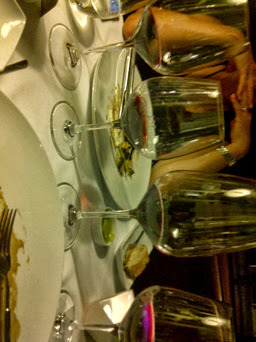 Lots of time was allowed between courses for us to contemplate the many tastes and the always generous wine pours. 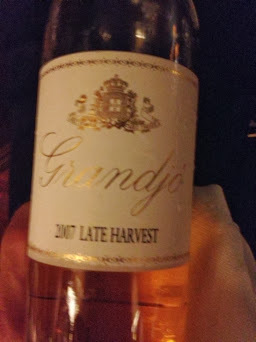 Our next wine was a Granjo 2007 Late Harvest, a sweet icewine (like) that had a nice balance of sweetness and acid, almost balsamic, to stand up nicely with the Foie Gras. 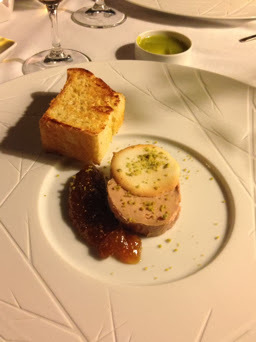 The pate was a generous helping with a cherry based sauce and pistachio crust. Bad for the heart and great for the soul. We savoured each piece along with the nectar. So ended the "appetizers" and now we on to the entrees. 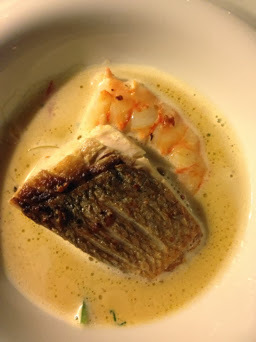 The Cataplana had a creamy fish broth made with a little bit of wine that complimented the fresh sea bass, mussels and shrimp. This was a very modern style and while true to the "freshness requirement" of the traditional dish it was constructed in a modern style. The wine accompaniment was similarly perfect. 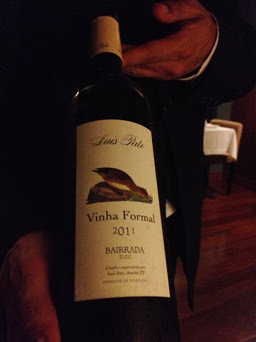 A Vinho Formal 2011 Bairrada from Central Portugal. 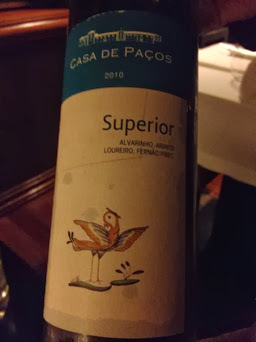 A nice wine with sufficient complexity to match the food, but not our favourite. We were then ready for the "meat" course. 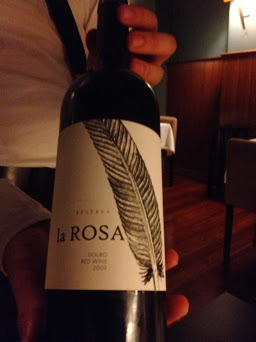 Our first of two wine pairings was a Reserva La Rosa 2009 from the Douro. This was complex wine, lots of tannin, deep ruby colour and yet smooth to the taste. Lots of spice and cherry at the tip of the tongue followed by a long finish. 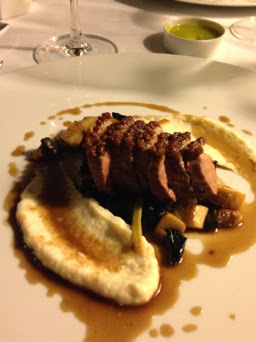 The Magret of duck was served with a celery root mash along with wild mushrooms and truffle. Although a little bit tough the flavours were intense and the creaminess of the celery root mopped up all of the reduction. We should add that for most of our courses we could not resist taking a bit of bread to clean up any remaining reduction. The Sommelier then appeared and provided us a second red. This was not part of the normal pairing, but an acknowledgement of our keen interest and delights in his wine offerings. 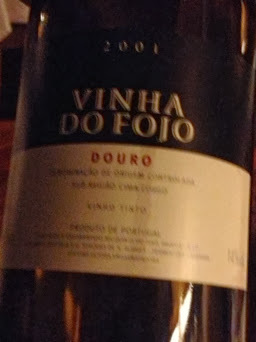 This second red was a 2001 INHA OFOIO (label hard to read, name might have a few more letters) from the Douro. This wine had more of an edge, and was interesting with stronger tannins. It was a nice surprise and we sipped it for a while before courses 5 and 6! 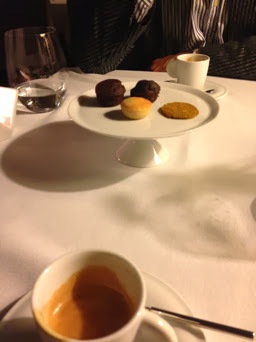 We were somewhat relieved when it became clear we were moving into the dessert phase of dinner. Our next wine was a Taylor's 2008 Late Bottled Vintage Port. It was a sweet wine with a great mouthfeel. After one sip Monica decided she had enough for the night and slipped her glass over to Joe, who gladly accepted her offering. 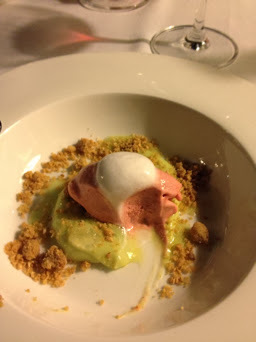 Our first dessert was creamy mint, sesame, gin and cucumber strawberry ice cream. It was a power house of sensual intense flavours that even Monica (who does not like ice cream) could not resist. 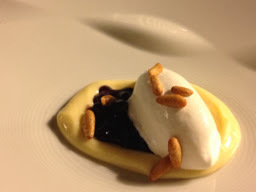 Our second dessert was Lavender, Tourigo National Pearls, rhubarb and caramelized pine nuts. The "Pearls" were made from red grapes. It was divine. By this time we were both completely satiated and very happy. The combination of great food and warm service was a delight. Our trip home by taxi was much quicker and non eventful. We recommend this restaurant to anyone going to Oporto. We are a professional couple from Canada. 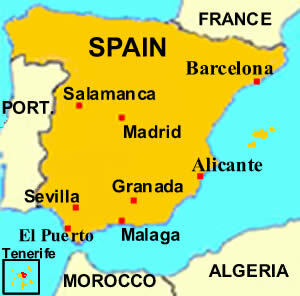 We have travelled extensively in the Carribean, Central America and Europe. We are now embarking on more challenging journeys, beginning with Vietnam, Laos, and Cambodia. 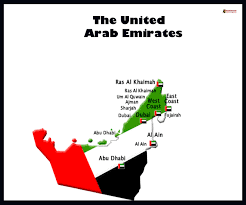 However we are not back packers and like to enjoy at least a 3 or 4 star accommodation. You will see that our Vietnam trip achieved that goal. We seek new food experiences and an understanding of local cultures. 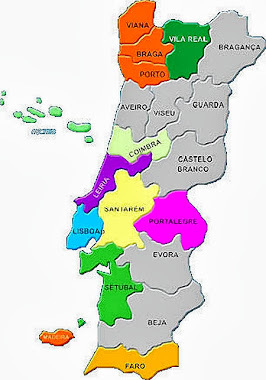 NOW we are off to explore Portugal this time with the whole family! 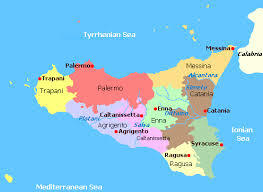 We have also added our adventures in Sicily, Barcelona, Dubai, Croatia and Lake Como!